The Spanish Benevolent Society’s executive director Robert Sanfiz finds it “really hilarious” to look back on that optimistic estimation. “We had go through major structural work,” he tells me. “Ultimately, it was going to eat a lot of our time and a lot of the money we put away.” Despite the delay, La Nacional will officially reopen on June 15, which coincides with both the 150th anniversary of the Spanish Benevolent Society and the World Cup match between Spain and Portugal. 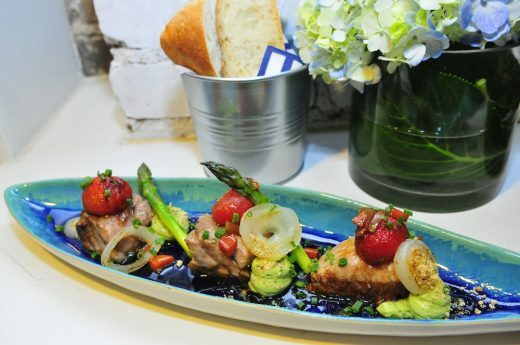 Formerly helmed by Lolo Manso of paella bar Soccarat, La Nacional was praised for both its quality Spanish cuisine and rustic, lively ambiance, where on any given night you could experience traditional music, a competitive futbol match, or simply good conversation. Even a documentary was made about its unique history as part of the Little Spain district, which flourished throughout the 20th century on 14th Street between 7th and 8th Avenues. 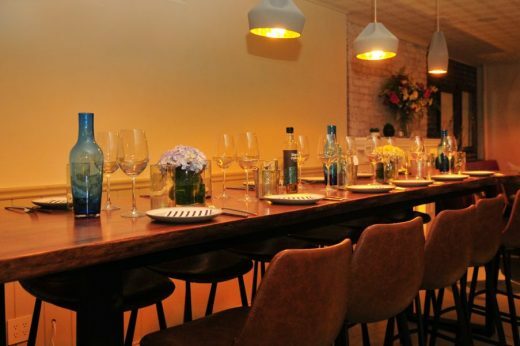 Initially, the restaurant planned on hosting promising young Spanish chefs from culinary schools, both in their kitchen and upstairs in their brownstone. Though La Nacional will still be working with culinary students, they will not be running the kitchen but rather working under the restaurant’s new chefs, which currently include the Valencian restaurant Delicat’s Javier Parreño Grande acting as chef de cuisine alongside Jordi Morera Siscar, Salvador Boix, and Garcia Sales. La Nacional’s chefs will also live upstairs, following the Benevolent Society’s longtime practice of housing Spanish visitors, including notables like Federico García Lorca. The food will still stick to its classic Spanish roots, but will be a bit more upscale than its prior iteration—there’ll even be one dish with a foam. 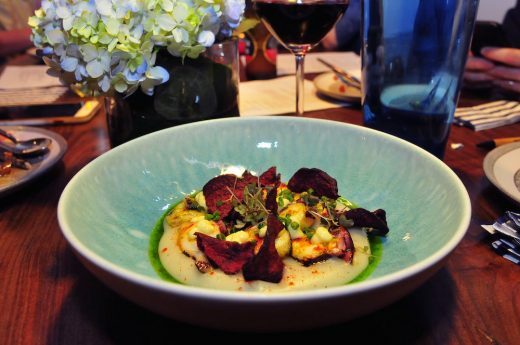 According to a press release, culinary offerings include risotto, Andalusian gazpacho, Spanish cheeses, tuna belly, and the traditional spiced octopus dish Pulpo a la Gallega. There will also be no shortage of Spanish wine, with everything from sherry to cava available, primarily from artisanal, family-run producers and curated by Elizabeth Fernandez. In order to do this in a city getting more expensive every year, he explains they’ll offer a cheaper happy hour and a menu del dia, which is essentially a cheap lunch special deal common in Spain. “Even if we lose money on those, or break even, that’s fine, as long as we know people can afford to eat well at a right price. And at dinnertime, it’ll be in line with Chelsea prices,” Sanfiz says. Uniquely, the restaurant will be operated by the nonprofit itself, and the extensive renovations were primarily financed through donations. As no one at the Benevolent Society is formally a restauranteur, Sanfiz tells me they befriended “almost all the restauranteurs in the neighborhood,” such as Louis Skibar of 24/7 Cuban diner Coppelia, who became an advisor of sorts to Sanfiz and even gave La Nacional a fireplace from his restaurant. La Nacional, located at 239 West 14th Street, reopens June 15.